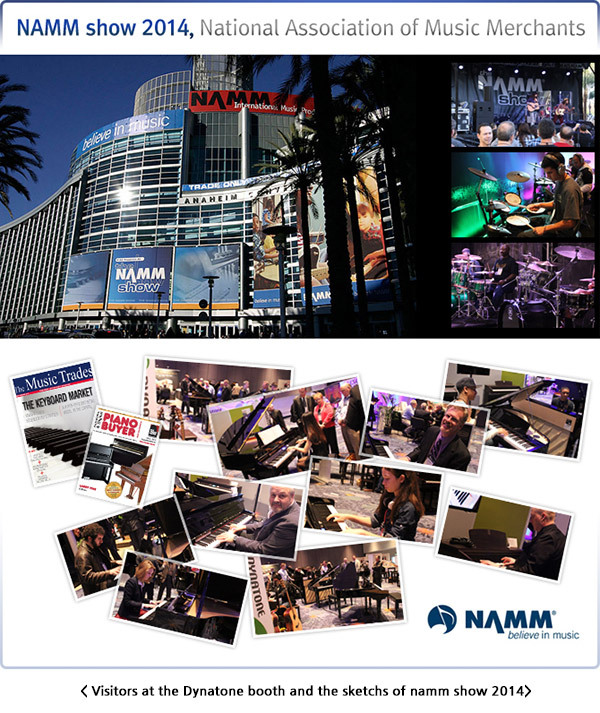 Those visitors and artists attending the 2014 January NAMM Show visited the Dynatone booth, showed a sign of high concern and expressed excellent comments on the function and quality of those high-end digital pianos. Dynatone Corp. will continue to present to the world market more products with higher quality and competitiveness. Next Dynatone in 2014 Musikmesse in Frankfurt.